Back to exploring Singapore to find new and interesting dog-friendly places with Quinton and Reegan. On a quiet friday morning, the family took the dogs out to explore Telok Blangah Hill Park. It is only a short drive from where we live, in the Southern part of Singapore. Henderson waves actually is a bridge that links Telok Blangah Hill Park to Mount Faber Park. 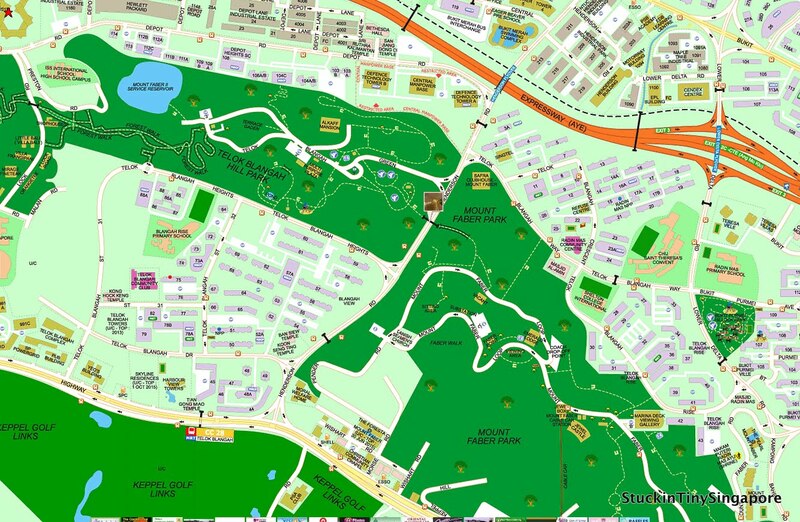 The whole area is known as the Southern Ridges, where you can do an extended walk (9km/5.6miles) linking the two parks mentioned and Kent Ridge Park and covers 8 trails. You can read more about it on this wikipedia entry. We started our walk at Telok Blangah Hill Park. There are car parks in the park and good signage for the Henderson Waves. The bridge is a 274 meter long pedestrian bridge and stands 36 meters tall. It gives a great view of Henderson Road below and the skyline beyond. The bridge is unique as it has a artistic wave-like structure consisting of a series of curves which form alcoves that double up as shelters. If you go there after dusk, there are LED lights to light the bridge. At the end of the bridge, you can continue on your way towards Mount Faber on the Faber trail. The trail is only 1km long, but involves quite a bit of stairs climbing. It can be slippery, so care has to be taken especially after a rainy spell. After that, we headed back to where we came from. It was a hot morning, which was why we only did the short walk. If it's later in the day with cooler temperatures, it would be worth to check out the rest of the trails. At least it was something different for the dogs and us humans too.